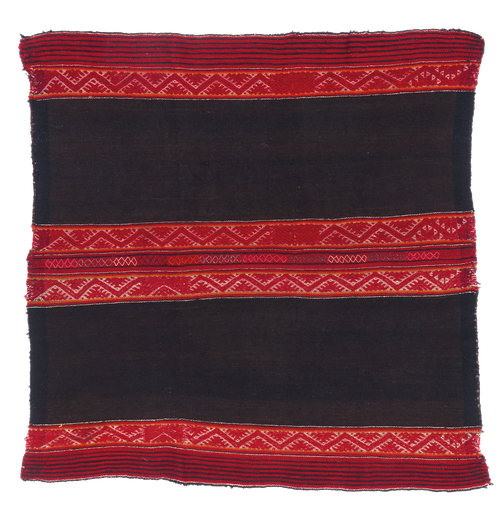 Traditional very fine peruvian hand-woven manta (small cover used to transport goods). With colourful and delicate embroideries. The two panels are sewn together with a simple zig-zag stitch. 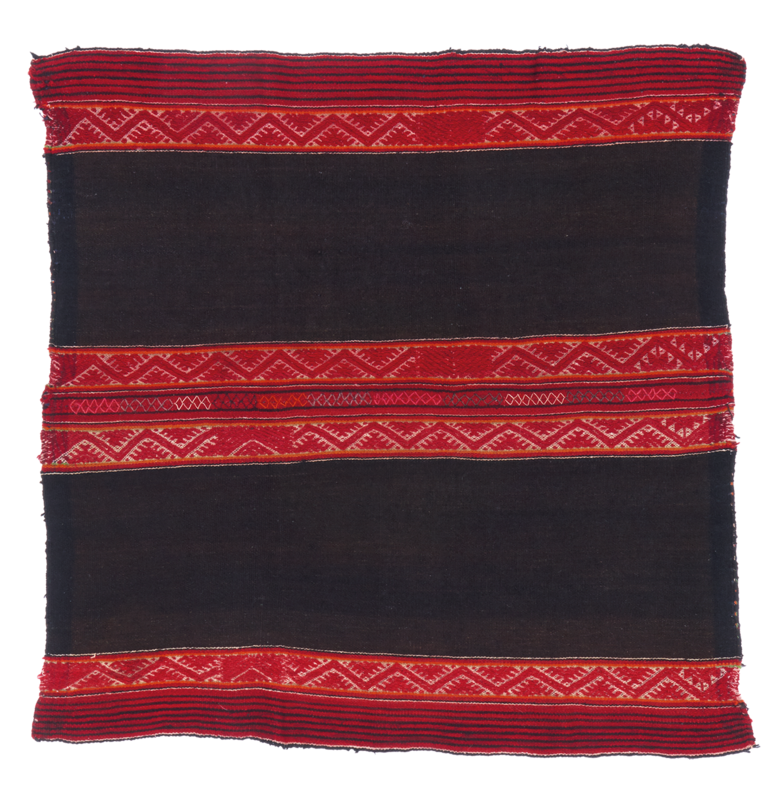 The dyes appear to be largely vegetal, with some synthetic dyes in the embroideries.